Should You Try a Speakers Bureau to Book a Keynote Speaker or Go it Alone? If you’re in the market to book a keynote speaker, you might be feeling overwhelmed. Who should you hire? How do you get in touch with that big-name keynote speaker you want? How do you know if the speaker is any good? Or maybe you’re wondering what is considered normal for fees, travel costs, and audiovisual requirements? The keynote speaking market can be confusing. There’s no central database of all available speakers. Fee transparency is minimal. And there are many groups who represent speakers: speaker bureaus, talent agencies, and publishing houses. Not to mention the thousands of individual speaker websites you can find all over the web. Finding a speaker can be a daunting task. Most of us don’t have the time, money, and patience to do it on our own. However, if you want your life made easier, consider contacting a speakers bureau. What is a speakers bureau? 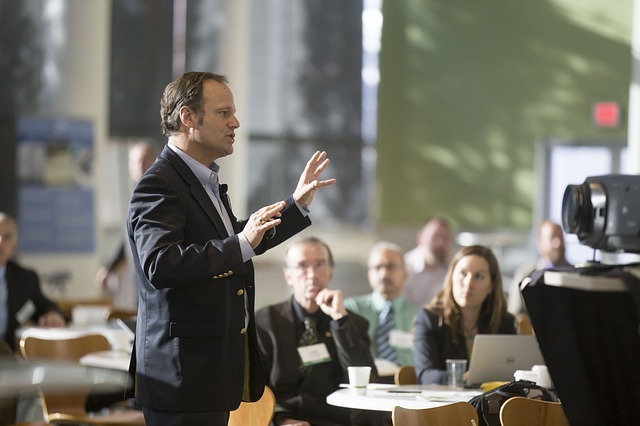 Speakers bureaus are organizations that specialize in helping you book the perfect keynote speaker. Bureaus can be large, small, international, domestic, have hundreds of exclusive speakers or represent just a few people. Some are brand new and some, like BigSpeak, have been booking keynote speakers for the Fortune 1000 for over 20 years. In short, speakers bureaus serve as intermediaries between a contracting company and a speaker. They provide expertise, insight, guidance, security, and freedom for the event team and the speaker—so no one has to worry about making the wrong choice. Speakers bureaus are experts on the experts. Bureau websites help you search for the right speaker for your event. Their databases provide transparency for costs and availability. And their sales advisors have personal knowledge of speakers and their expertise. Sales advisors provide insight into the selection process. When you contact a speakers bureau, a friendly and expert advisor will guide you through the process step-by-step until you find the right speaker to fit your event and budget. Speakers bureaus provide the logistical know-how to guide you through the complicated event process. Speakers Bureau event planners can help you coordinate travel, hotel, per diems, contract logistics, and more. Life happens. Sometimes a speaker gets sick, a plane is delayed, or an act of God happens. When you make a contract on your own, you’re out of luck. But a speakers bureau provides a security net. If a speaker can’t make it, the bureau has a network of great speakers who can fill in at a moment’s notice. Best of all, it’s free. There’s no extra cost to work with a speakers bureau. Speakers bureaus earn their commissions from the keynote speakers. All you pay is the keynote speaker fee and in return get all the speaker bureau expertise, insight, guidance, and security you would’ve missed doing it on your own. So next time you need a keynote speaker for your event, don’t feel overwhelmed. Contact one of the many professional speakers bureaus out there to help make your next event great.